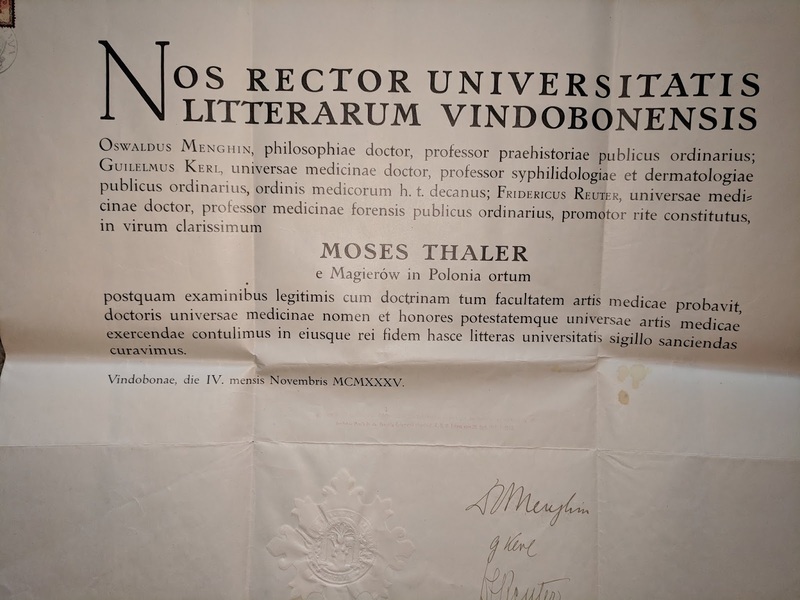 Dr. Max Thaler from Magierov Poland to Parishville N.Y.
Our father, Dr. Max Thaler, was a man small in stature, great in soul. He was a small town doctor, a general practitioner, though he could have been a big city neurologist had he so chosen. 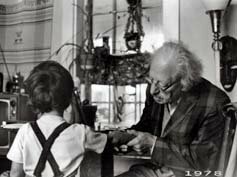 He was a holocaust survivor, a devout Jew in a secular family, a man who slept little, the phone ringing at all hours, a doctor who always made house calls, even as making housecalls began to grow out of style. 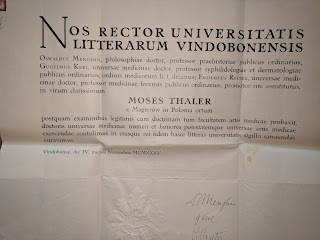 He was born, Moses Thaler, in Magierov, Poland, on March 28, 1909. In 1913 his mother and syblings took a train from Magierov to Vienna, Austria, to escape the Pograms of Poland. He grew up in Vienna, and graduated from the University of Vienna Medical School. In 1934 he met our mother, Angela Brill. For four years, despite their respective parents' disapproval (He was a religious immigrant Jew; she was an assimilated, secular, Austrian Jew) they enjoyed one another's company, fell in love and eventually married. In 1938, just after Kristalnacht they escaped to Switzerland where he served as doctor to Jewish refugees and for the "Pestallozzi Village" then an orphanage, now an educational center, in Trogen. He became father to two daughters, Ellen, 1943 and myself, Joan, in 1946. 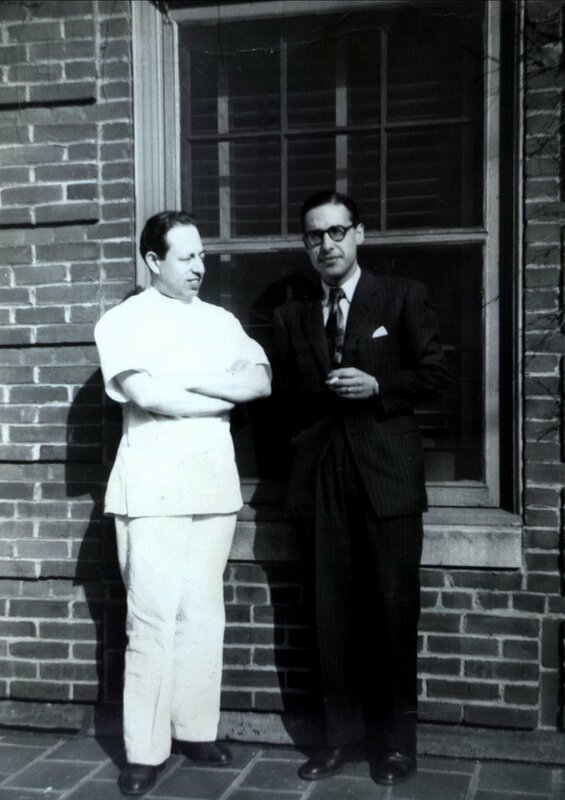 In 1948 our family was able to emmigrate to the U.S. where we lived in Kew Gardens, New York City, while he did his American medical internship. In 1950, after answering an ad in a medical magazine, our family moved to the small northern New York hamlet of Parishville, where two more children, David (1953) and Susanna (1955) were born and where he is still lovingly remembered. I never go back to visit without hearing at least one story of someone whose life our father touched. He died in his beloved Potsdam Hospital, Potsdam New York, on September 9, 1989. 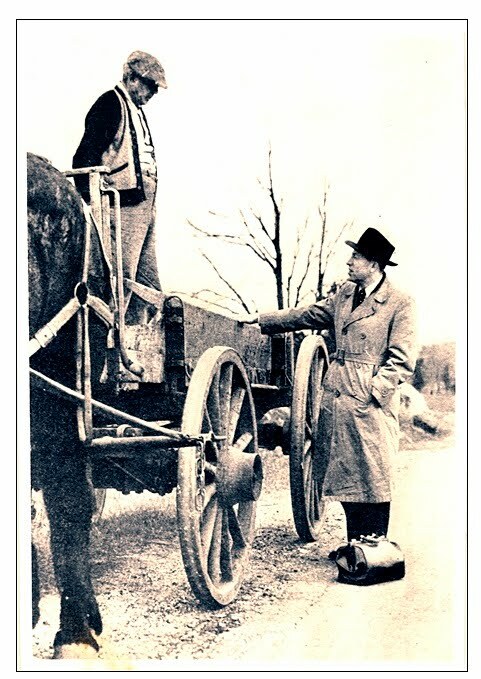 Dr. Max Thaler of Parishville is shown here on Catherine Street standing next to Era Converse on his horse drawn manure wagon. Dr. Thaler was born in Poland to poor Jewish parents. He completed his medical training in Vienna, Austria where he met his wife Angela Brill Thaler. He and Angela fled to Switzerland to avoid persecution during WWII. The couple moved to the NYC in 1948 where Max completed his residency requirements and became licensed in NY State. They came to Parishville in 1950 where Max practiced as a "cradle to grave" doctor. On display at the museums´ exhibit: MEDICAL MIRACLES MYSTERIES & MALADIES was Dr. Thaler´s medical bag shown in the photograph as well as his microscope from medical school in Vienna and other fascinating artifacts. It featured Jazz by Bill Vitek refreshments compliments of PACES at SUNY Potsdam. For museum information call (315) 265-6910 or visit their website at www.PotsdamPublicMuseum.org.